Our engineers use computer based programs to design products, according to the operation plans and technical drawings. All production operations are prepared following ISO and DIN. Custom tailored production according to drawings of customers is also within our capabilty. SSS has its own foundry to produce highest quality gray and nodular cast iron piston ring blanks. Iron melting is done by induction furnace for proper control of temperature. High tech equipment including metalurgical laboratory with spectrometers that is used to control composition. Samsun Segman always uses cutting edge technology machines for the best possible machining tolerances. Our machines has technologies such as CNC , automatic loading/unloading, automatic measuring and compensation for constant quality production. The periphery of all rings are lapped by special machines for reducing running-in period in the engine, to provide 100% light tightness for full performance and to avoid leakage of pressure. Our machines are from leading manufacturers of Germany, Japan, Switzerland, South Korea and Italy. 1) Gray cast iron(LG) : ISO class 20 cast iron with lammelar graphite , standart material for piston rings with a very good lubricating characteristic thanks to its graphite flakes. 2) Nodular cast iron (KG) : ISO class 50 cast iron with spheroidal graphite , strong , unbrakeable material. Withstands greater temperatures and pressures than gray cast iron. 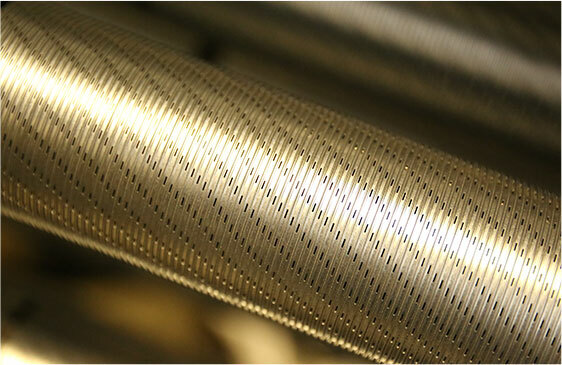 3) Steel (ST) : ISO class 60 , thinner , lighter , better performance at high rpm engines. All top and all chrome plated oil rings in Powerseal Piston Ring sets are made of nodular cast iron to ensure quality superiority and durability. With phosphating, crystalline phosphates are deposited on all surfaces of the piston rings except chrome â€“ plated areas. The phosphate layer has a thickness of 0.002 â€“ 0.005 mm. and improves the running in behaviour of the piston ring by increasing the adhesion of the oil. Furthermore, the phosphate layer has a certain anti-corrosive effect during long storage periods even under damp conditions. 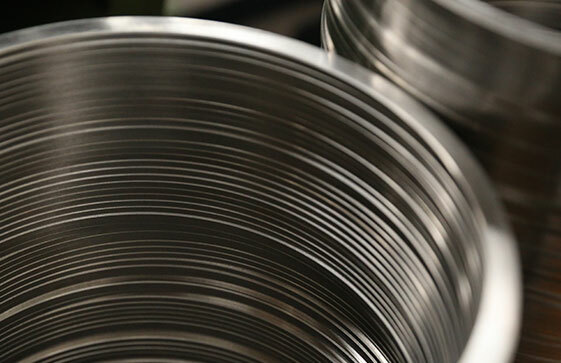 The electroplated chromium layer reduces wear on both the piston ring itself and on its friction partner, the running surface of the cylinder or liner. It thus helps to ensure that the total life of both the piston ring set and the engine are similar. Both compression and oil control rings can be chrome plated. In this processes, nitrogen atoms penetrate and diffuse into the base metal, significantly increasing the surface hardness. This coating mostly used for steel top and oil rings. While it offers very good wear resistance, its scuff resistance is similar to chrome coating. 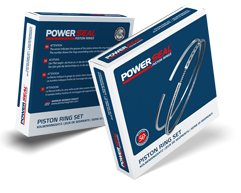 Powerseal Piston Rings are packed according to our customer needs.The goods are sent in bulks or in Powerseal boxes. Laser marking on the ring surface and hologram on boxes are used to distinguish Powerseal goods from fake products.